Bootstrap Business: Should We Trust Stars And Reviews When We Look At Hotel Ratings? Should We Trust Stars And Reviews When We Look At Hotel Ratings? 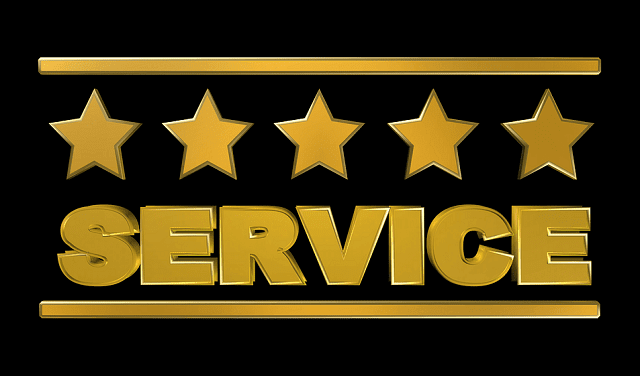 But just how important are star ratings in the modern world of hospitality? This is a question that must be asked because so many of us read and check online reviews. Do people still value the star ratings or do real guest experiences matter more? In this article, we’ll look at the star standard for the hotel industry to find out if guests can still glean worthwhile information from it. A hotel star rating used to be the go-to check for travelers seeking to book a room. The star system used to be quite simple and, without the digital word of mouth, really the only information guests had to go on. These days, the traditional 5-star rating has been replaced with other systems that offer hotels from 5 star to 10 star ratings. Plus, many have noted that a four-star hotel in Madrid might not feel the same as four-star hotels in Jesmond, Newcastle. It turns out that there's a good reason for that. This is due to the important but obscure fact that there is no global star rating system. The star-rating system was originally introduced in the UK, in 1912 by the AA. It was used as a means of classifying hotel standards. Back then, the maximum number of stars was three. It wasn’t until 2006 that the AA developed the Common Quality Standards with the help of a number of UK tourist boards, which increased the maximum rating to five stars. Plus, in 1956, the AA introduced an additional Rosette Award scheme to ‘assess the quality of food served in restaurants and hotels’. - This includes staff to be on site and on call 24-hours a day, printed instructions for emergencies in the night and for evacuation procedures in every bedroom. - Symbols, diagrams, and multilingual emergency notices in every bedroom. - Registered guests should have access to the hotel at all times, with the hotel entrance illuminated in the dark and identifiable. Lighting in all public areas, stairways, and landings. - Telephone access 24-hours a day. - A key or card for guests to lock bedroom doors inside and out, and security fittings on windows. As well as the above, a minimum level of maintenance needs to abide in order to enter the AA star system. This includes fixtures, electrical and gas equipment in the building being clean and fit for purpose. There’s also a minimum requirement for cleanliness, with the AA stating that there must be ‘a high standard of cleanliness maintained throughout the property’ regardless of star level — cleanliness is not expected to vary between star level. The AA’S Common Quality Standard displays where the difference between star levels becomes more apparent. For example, where a one-star hotel is required to offer an iron and ironing board, a five-star hotel is expected to offer 24-hour return laundry service. A one-star hotel can verbally explain the breakfast menu, where a two-star hotel must have a clean, well-presented menu provided for breakfast items. But then for dinner provisions, both one and two-star hotels (as well as three and four) all need to serve dinner at a specific time advertised, communicate if no dinner is provided, and can provide a self-service buffet. The only difference in dinner requirements is for five-star hotels, which need to provide all courses, served to guests at their table. You find detail of each level outlined in the full document, which you can find here. But how much does it matter in this digital age? The main problem with stars Is that there isn’t a global star standard. Other countries run their own systems, with some having multiple different boards with their own star systems. Some hotels might even give themselves their own ‘unofficial’ star rating. Then, there’s the matter of tour operators running their own star rating system, which can make four-star hotels look like five-star hotels to unsuspecting bookers. In the UK, you might even find a hotel that has a two-star AA rating, but a tour operator advertises it as being a three-star rating based on their own rating system. It’s not surprising that because of this more people are using review websites before booking a room to check hotel reputation. Plus, it seems there is an increasing level of trust in those online review and ratings. Back in 2009, C. Cox et al noted that while 95% of internet users at the time relied on online research as part of their travel information search process, few were actively trusting them as a primary means of gauging a hotel’s quality. This was deemed to be because ‘[it] is not always easy to identify and access the profile of people who post information on blogs and other social networking sites, [so] the reader cannot easily gauge the credibility of the information provided’ (pg. 749). Fast-forward nine years, and the public have become extremely dependable of what we see online, with a reported 84% of people placing online reviews on the same level of trust as a recommendation from a friend. As mentioned at the start of this article, one of the main ways potential guests scout out hotels is to look on TripAdvisor, meaning they are placing a lot of value in the ratings there compared to the star-rating of a hotel. If you bear in mind to look out specifically for AA stars, then the star rating system is useful to know what the minimum standard is that you’ll receive from a hotel. By checking the minimum requirements set out by the AA, you can see the standards the hotel had to achieve to be granted not only entry to the star system at all, but the star level they have achieved. For example, the AA has rated The Majestic Hotel as a four-star hotel. You can take this and check their Common Quality Standard to find out that this means the hotel must provide such things as televisions with a screen larger than 24 inches, and a high degree of spaciousness within the rooms. This can help with expectations of a hotel. From there, a look at guest reviews can help to cement an idea of the experience, but with caution for the above-mentioned flaws for the online review process. I hope you enjoyed this blog post about whether consumers should trust star reviews for hotel and motel ratings and rankings. Interested in more articles about the travel and hotel industries?